The tiny Vincent-HRD concern in Stevenage was from the beginning devoted to the manufacture of exclusive motorcycles for the connoiseur. 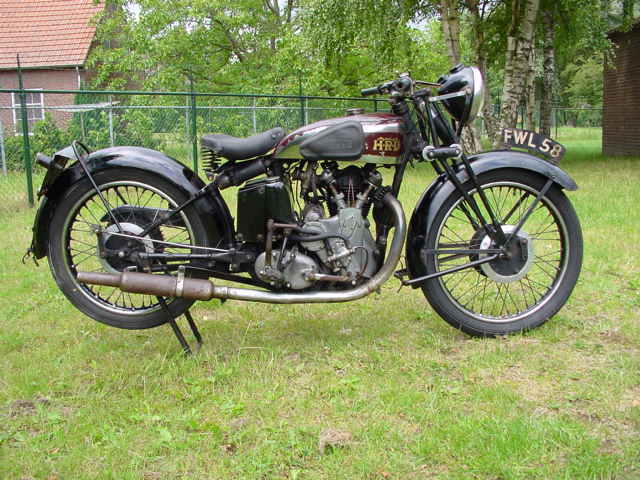 Vincent-HRD introduced its own 500cc OHV engine in 1934, A vertical cast iron cylinder and head with hairpin valvesprings are standard. HRD motorcycle history. 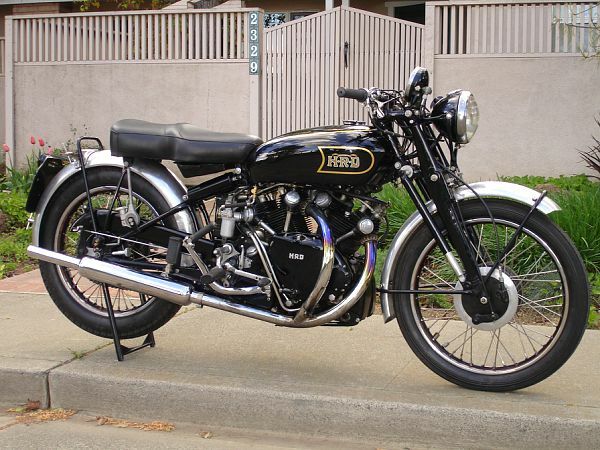 1937 HRD Comet, 500cc Bore and stroke are 84 x 90mm and it has a high camshaft valve operating mechanism. External oilpump and pipes are used on this 1937 Comet. This Comet has duo-brakes, twin 7 inc drums front and rear as standard equipment. The rear suspension has the springunits fitted under the saddle. This 1937 Comet is a lightly tuned version of the milder model Meteor. The HRD concern, based in Varese produced a limited number of high quality 125cc machines before production ceased. Designed to meet the insatiable demands of the Italian youth for high performance 125's the HRD utilised, as did the majority of its rivals, a single cylinder, liquid cooled two stroke engine built in unit with the gearbox. The engine was housed in a tubular frame designed by a former Bimota engineer, which also accounts for the machines Bimota like styling. Top quality ancillary components including Grimeca wheels, a Brembo front disc brake and Veglia instrumentation were employed. Unfortunately, the HRD product could not compete with the mass produced offerings in terms of price and did not offer enough of a performance advantage to warrant the extra expense for the vast majority of prospective purchasers curtailing the models production and ensuring their subsequent rarity.